Well, when it comes to stock exchanges, size not only gives you a marketing advantage, but it also provides a prestige factor as well. Because many stock exchanges reflect the size of their underlying economies. The bigger you are, the greater your footprint among global business. So right here, we have the list of the largest stock exchanges in the world. We organize the money makers from largest to smallest and provide interesting tidbits about how and where and the money flows. What is the largest stock exchange in the world? What are the other biggest stock exchanges in the world? When we talk about size, it doesn’t get any bigger than the bright lights of New York City. With just over 23 trillion in total market capitalization, the New York Stock Exchange (NYSE) is the largest stock exchange in the world. Home to American titans of industry such as Coca Cola, Walmart and J.P. Morgan Chase, billions of dollars flow through the exchange every year. As well, the service offers trading of equities, exchange traded funds (ETFs), fixed income and options. What you may not know is its continued relationship with floor trading. With the rise of algorithmic and electronic trading, many floor traders have seen their business decline. 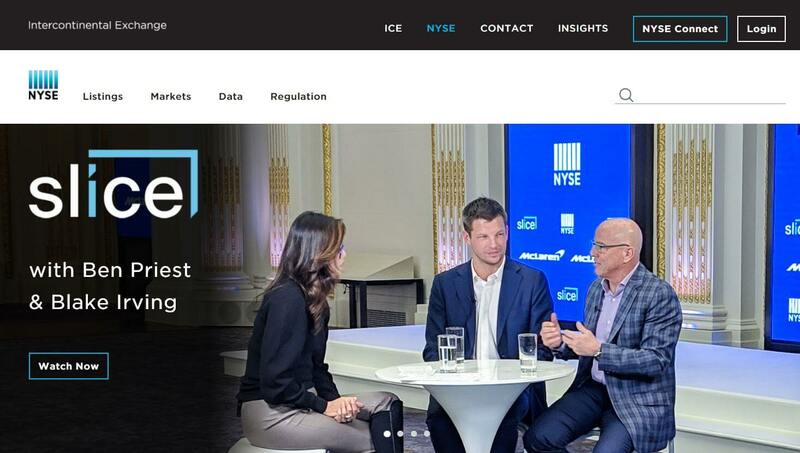 However – while providing a one-of-a-kind experience – the NYSE is the only major exchange that still offers floor trading to major brokers and dealers. More than 8,000 ​NYSE and NASDAQ stocks are screened with Trade Ideas Artificial Intelligence stock scanner. Like many stock exchanges in Europe, the founding of the United States’ oldest stock exchange took place under an open sky, or better, under a Buttonwood tree in 1792 on an empty lot on Wall Street. The first years’ stock trading was held in a coffee house. Coming in second is the NASDAQ Stock Exchange. As another one of the largest stock exchanges in the world, the NASDAQ is home to well-known technology companies like Apple, Facebook and Amazon. As an industry leader within the United States, the NASDAQ allows you to buy and sell equities, futures and options of some of the most revolutionary companies in the world. Interestingly enough, the company does not allow financial companies to list on its indexes. It’s heavily weighted toward both consumer services and healthcare – and no utilities, oil and gas or basic materials stocks have been listed there in its history. A great exchange for ​day trading​ stocks. In the first third of the trading day is usually the best time of day to buy stocks on NASDAQ. That's because of the high volume right at the beginning of a trading day. ​NASDAQ is the 2nd largest stock exchange in the world. The third largest stock exchange in the word is the Japan Exchange Group. Home to the TOPIX, Nikkei 225 and Nikkei 225 Futures, the exchange allows you to trade global equities, stock and index futures as well as stock and index options. The exchange has 1,093 employees, $11,500,000,000 (yen) currently flowing through its markets and has issued 536,351,448 total shares. As well, the exchange also ensures investment oversight by providing trading compliance, fair distribution of market data and market surveillance. Home to the world’s second leading economy, China also hosts one of the largest stock exchanges in the world. The Shanghai Stock Exchange (SSE) has 1,463 listed companies, 12,888 listed securities and 1,507 listed stocks. The exchange also allows you to trade equities, index funds, bonds and options. What separates the SSE from Western exchanges is government regulation. The Chinese government is heavily involved in supporting the equity markets. Regulators have a history of imposing trading circuit breakers to prevent excessive selling and falling prices; when volatility or percentage swings reach a certain level, the government reserves the right to halt trading for the day. While using this mechanism can help increase confidence in the market, it can also cause panic when traders try to force sell orders before circuit breakers hit the magic number. Another one of the largest stock exchanges in the world, Euronext is home to the AEX-INDEX, the CAC 40 and the PSI-20. Offering trading in equities, ETFs, fixed income and derivatives, the exchange has nearly five trillion in market capitalization. As well, the exchange has nearly 1,300 shares issued, 260 corporate members and more than 200 trading partners and clearing members. With a market cap of roughly 4.6 trillion, the London Stock Exchange Group also makes our list as one of the largest stock exchanges in the world. The exchange offers trading in international equity, ETFs, fixed income and derivatives. As well, it offers investors unveiled access to Europe’s major capital markets. Headquartered in the United Kingdom, the London Stock Exchange Group employees roughly 4,500 people and provides services such as technology solutions, post-trade clearance systems and market surveillance. The company also provides private market services, offering debt and equity issuance as well as access to some of the worlds’ largest and most liquid pools of capital. Coming in at number-7 on our list of the largest stock exchanges in the world, the Hong Kong Exchanges and Clearing Market is home to the Hang Seng Index. The exchange offers equity, ETF, fixed income and derivatives trading. There are 2,324 listed companies, 6,652 derivative warrants and 1,206 total debt securities listed within its various groups. Currently, the exchanges trades nearly 1.1 million derivative contracts per day with HIS futures (167,677) and HSCEI futures (92,962) acting as the most popular instruments. For the month of January, the exchange also had nearly 86 billion in total trading turnover. Like American financial markets, China also has a second major player in the exchange space. As one of the largest stock exchanges in the world, the Shenzhen Stock Exchange has a market capitalization of 3.55 trillion. Home to some of the largest technology companies in China, the exchange offers A-shares (equity), B-shares (equity), ETFs, mutual funds, fixed income as well as derivatives. The exchange is also well-known for its heightened volatility. Since a small number of investors own the majority of stocks within the China market, the slightest sign of market stress can lead to large price swings. But – as mentioned above – Chinese exchanges are heavily regulated and circuit breakers are used to help minimize any excess damage. Another European titan, Deutsche Börse sports a market capitalization of 2.34 trillion, making it one of the largest stock exchanges in the world. Headquartered in Frankfurt, Germany, the exchange offers pre-IPO and listing services, trading, clearing, settlement, custody collateral and liquidity management as well as provides market data for traders and other participants. The exchange also supports over 2,500 tradable financial instruments including equity shares, exchange traded funds (ETFs), exchange traded notes (ETNs) and exchange traded commodities (ETCs). For its equity services, over 1,000 German and international shares can be traded on its Xetra indices – including the DAX, MDAX, SDAX, TecDAX as well as the EURO STOXX 50. In Frankfurt, the stock market was initially a place. In this case, the central square of the ity, Römer square or short, “Römer”. In 1694, the merchants’ gatherings took place for the first time in a building that was initially rented. This provisional remained in use for almost 150 years, a fact even Wilhelm Hauff, the author of the “Spessart Inn”, mocked. In 1843, the “old stock exchange” was first created, but as early as 1879 the move to the “new stock exchange” took place. Today the actual trading place of the German stock exchange AG is in the neighboring municipality Eschborn, with Frankfurt Main remaining the official head office. In total, the German stock exchange AG employs more than 4500 people at 22 locations worldwide. So Deutsche Börse is not the largest stock exchange in the world but a major stock exchange in Europe. Rounding out our top 10 of the largest stock exchanges in the world is the Bombay Stock Exchange. As India’s largest exchange provider – and sporting a market capitalization of 2.3 trillion – it’s also one of the largest stock exchanges in the world. Home to the S&P BSE SENSEX – India’s most widely tracked benchmark index – the exchange offers exposure to equities in regions such as Brazil, Russia, China and South Africa. The exchange also offers trading in equities, ETFs, mutual funds, fixed income as well as currency and commodity derivatives. Moreover, the exchange has approximately 5,000 listed companies – however only 2,000 are actively traded. For how long there have been stock exchanges or their predecessors lies hidden in the darkness of history. It can be assumed that even the first high cultures of the world in Mesopotamia knew about 10,000 years ago something similar to stock exchanges. For a long time, for example, farmer markets served as a price-determining hub for agricultural goods, and even then the principle of supply and demand applied. The former farmers’ markets were also important hubs for the supply of the population, which is why there were early regulatory interventions by the government. Thats like in case of usury or the deliberate withholding of goods in order to drive up their price. One of these hostels was located on the market square of Bruges, which is why the place was generally named by the inhabitants as “Ter Beurze”, after the most famous building. ​At that time Bruges was the most important European trading center, and largest stock exchange comparable to London or New York today. It was also the time when the first joint stock companies were founded. The term “Beurze” has been modified into many languages and always describes a trading platform or marketplace. ​Today's term “bourse” for the stock exchange derives from the name “Van der Beurze”, a patrician family based in Bruges that operated several inns and hostels in the Belgian city during the 14th and 15th centuries. Until the 17th century, the stock market simply remained a trading center in a city, depending on the location in the port or on the market. It was only in 1613 that a building was opened in Antwerp, which bore the official name Börse. From the late Middle Ages to the present day, the political and economic world has changed enormously. The main focuses of trade have long been postponed. Although the Netherlands are still a major trading nation, they are no longer among the heavyweights in the stock market. Without a doubt, major companies around the world are the largest providers of economic wealth. From huge corporations to the most innovative IPOs, equity markets provide access to many titans of their respective industries. However, to gain this access, you need a stock exchange. A place where investors can trade actively, buy and sell underlying derivatives or simply hold ETFs that provide a buffet of what the underlying market has to offer. Whatever your preference, stock exchanges are where it all happens. While the United States has – by far – the largest stock exchange in the world, China isn’t that far behind. With two major players located in mainland China and another exchange located in Hong Kong, the three provide a market capitalization of just over 13 billion. When you combine that with the fact that China’s GDP is growing at more than twice the rate of the United States – it’s easy to see why the US-China trade negotiations have so much at stake.